America’s preeminent Anti-Aging Psychologist, Dr. Michael Brickey, interviews experts on what it takes to live longer, healthier, and happier. The program takes a holistic approach in addressing anti-aging psychology, alternative medicine, medicine, fitness, nutrition, health, and wellness. The emphasis is on innovative thinking and practices that have solid data and results. 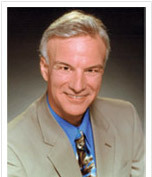 An Oprah-featured author, Dr. Brickey works include Defy Aging, 52 baby steps to Grow Young, Reverse Aging, and the free biweekly Defy Aging Newsletter. The weekly shows are broadcast on webtalkradio.net and podcasts of programs remain there for eight weeks. This site archives shows allowing you to hear programs, read transcripts of the shows, and get more background informaiton on the guests. I’m amazed at the time-defying transcription of our conversation. May I ask: Do you have a voice-recognition transcriber, or does someone liten and transcribe on the computer?? What If We Could End Disease In America? Raymond’s best selling breakthrough book Never Be Sick Again is a seminal work in the field. It explains why there is only one disease ─ malfunctioning cells. If the trillions of cells in the body are getting the nutrition they require ─ and not being disabled by toxins ─ if they are functioning normally, disease cannot happen. Raymond is an articulate, knowledgeable, compelling, lively and entertaining voice on the radio. An internationally recognized leader in the field of optimal health maintenance, he hosts his own thirteen-years-running weekly radio show The Beyond Health Show. To listen to some of his recent shows, visit http://beyondhealth.com/radio.htm . The President of Health-e -America Foundation and the National Chairman of The Project to End Disease, Raymond is also the publisher of Beyond Health News. Raymond Francis, D. Sc., M. Sc., R.N.C. is creating a national sensation in the field of optimal health maintenance. As a newsworthy, energetic guest on your show, the station’s switchboard will be lit up by intrigued callers, hungry for the answers to maintaining health and eliminating sickness and disease. Please consider this dynamic veteran of countless radio and TV shows for a guest appearance on Ageless Lifestyle Radio. PS Please let me know if you would like a review copy of Never Be Sick Again.